I had a dish similar to this one in Montreal, chez Graziella, a wonderful Italian restaurant in old Montreal. 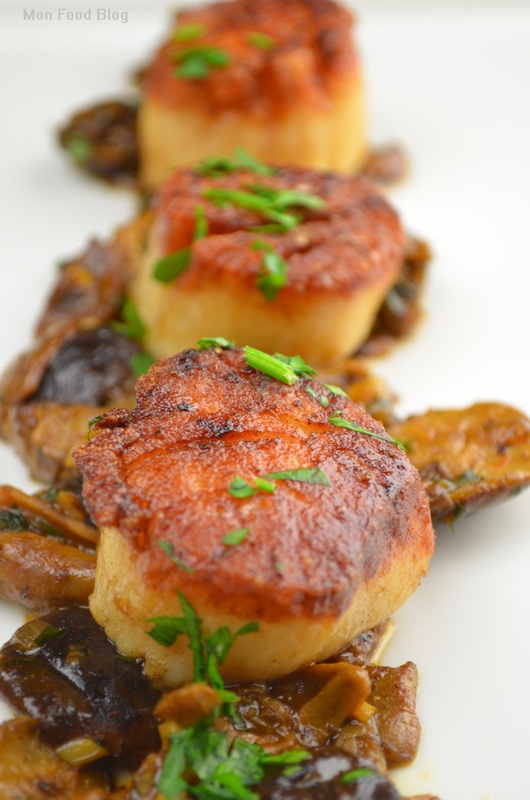 When you combine scallops, mushrooms, specially porcini mushrooms and saffron, something very complex happens. This is umami galore. I also make a mean risotto with similar ingredients. That post is coming soon. For the longest time, I could not cook scallops properly. I think I understand now. I cook them in a frying pan with about 1 cm of oil in the bottom of the pan. You need more oil than you think. And a bit of butter to get that wonderful color. Cook it for two or three minutes on one side, until nicely brown, then turn the heat off, take the pan off the heat and turn the scallops just to let the other side warm up a bit. 1. 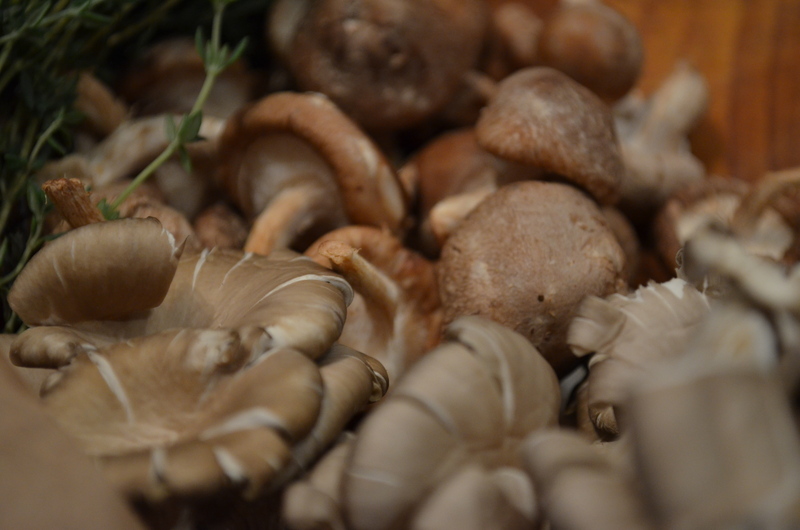 In a large skillet over medium-high heat, cook the mushrooms in the olive oil until done. 2. Lower the heat to medium and add the shallot. Cook until the shallot is soft and translucent, a few minutes. 3. Add the garlic and cook another 30 to 60 seconds. 4. Add the porcini mushrooms and the soaking liquid and stir, scraping the bottom of the pan to remove sticky bits. Reduce until there is no more liquid in the pan. 5. Add the wine and reduce until the pan is dry. 6. Add the beef or veal broth and reduce until it thickens, a few minutes. Turn the heat off at this point and add the butter. 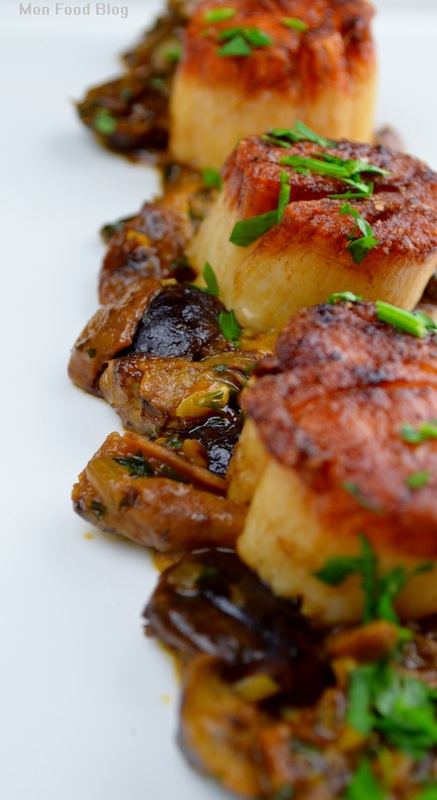 Season with salt and pepper and keep warm while you cook the scallops as described above. Add the parsley to the sauce just before serving. Serve on warm plates.